So it’s Novemeber, huh? No idea how that happened. It’s been rainy and…humid (?) here in Paris as October melded away and the colors of the leaves really arrived and I had to start thinking about my winter coat situatuation. This past week was jam-packed with midterms: some papers and some tests à table (which meant being confused by the lined paper and strict formatting rules of the French system), thus exploring as a means of procrastination was very necessary. 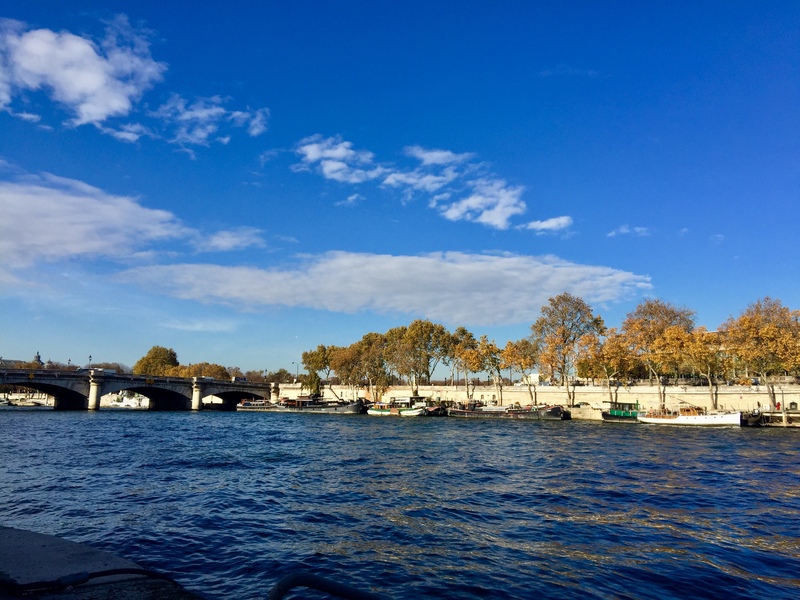 A boat on the Seine near Musée d’Orsay that held photographers and photography book publishes from all around the world selling their works. I got sea sick, but also super inspired. Art communities are so cool honestly. That if you stand at just the right point near the Observatoire, you can kind of see Paris layed out before me and it just looks real nice. Walking around the 12th near Parc de Bercy is strangely…nostalgic? I stood outside of a cafe for a minute just smelling the chocolate wafting through the doorway. That you can eat a cookie before you take a test because you deserve it. A tiny little bistro in Bellville with a little jazz concert–we couldn’t get through the crowd, so we stood on the opposite side of the street. Very classy. So there you have it. It’s unfortunate to be stressed in Paris, but we’re out here as students so that’s pretty inevtiable. But it’s Paris! And we only have a little over a month, so I’ll make the most of it for sure (even as I stress eat croissant after croissant).